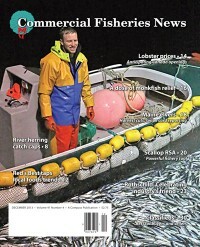 HYANNIS, MA – Fishermen who use midwater trawls or bottom trawls and land more than 6,600 pounds of Atlantic herring will need to pay extra attention to river herring and shad bycatch in the future. 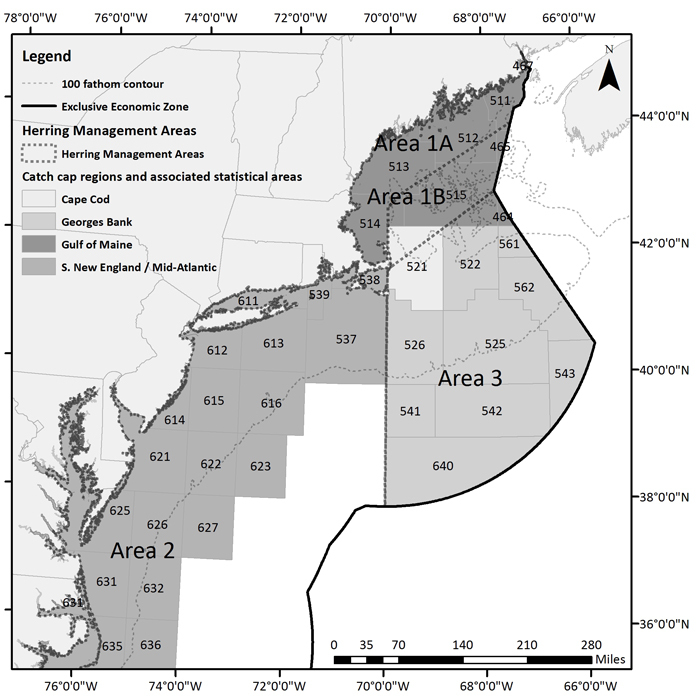 During its late September meeting here, the New England Fishery Management Council adopted area-specific and gear-specific catch caps for a four-species complex of river herring and shad that includes alewives, blueback herring, American shad, and hickory shad. Atlantic herring midwater and bottom trawl fishing would be allowed to continue in the offshore statistical areas of the Southern New England/Mid-Atlantic area (blank areas on chart) after the river herring/shad catch cap is reached triggering an area closure. 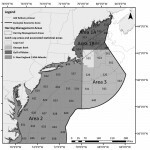 If approved by the National Marine Fisheries Service (NMFS), the caps will be in place for the 2014 and 2015 Atlantic herring fishing years. 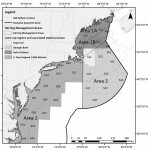 Once 95% of a cap is projected to be reached in a particular area by a particular gear type, the area will be closed to directed Atlantic herring fishing for that gear type for the rest of the year, and a 2,000-pound Atlantic herring possession limit will be imposed on fishermen using that gear type.